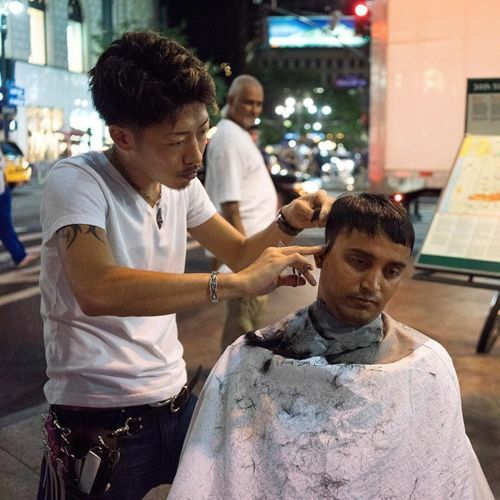 "Imran Chowdheury had his hair cut in Herald Square by Yusuke Mori, a visitor from Japan who was offering haircuts for a pay-what-you-will fee. @nikokoppel, a photo editor for @nytimes, took this photo while out exploring the city at night. "We who work all day need a release," he says, "and often, the late night hours are when this happens." We're sharing photos from @nikokoppel's series, #BreakingNight, for #nytweekender." By nytimes on Instagram.